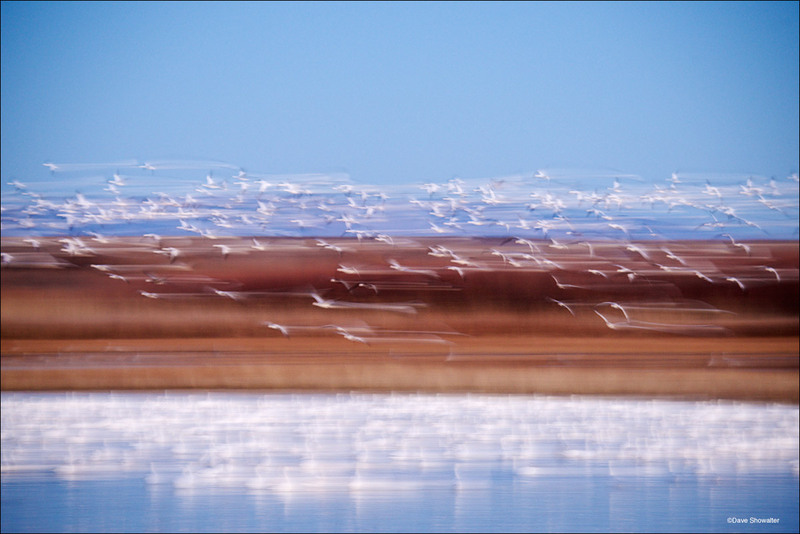 Snow geese swirl around a small pond in early morning before landing for a short time. The geese, which number 40,000 in winter had left their evening roost and used this pond as a short stopover before heading to corn fields for daytime feeding. Chen caerulescens. Photo © copyright by Dave Showalter.